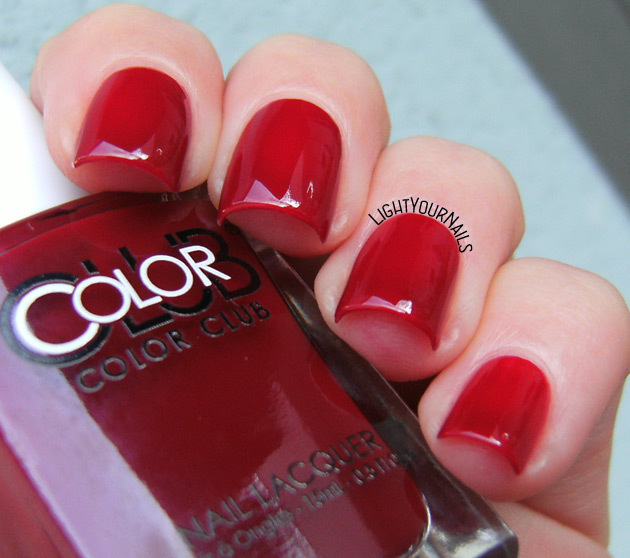 Color Club Brrr-Red | Light Your Nails! Really? Then it's not the shade for you, I agree, because it's very jelly-like! A red polish which doesn't stain.. I need it ! I am sure it will be a great pick for Christmas indeed! It's quite delicate being a crelly but still very good! That's a lovely one ! Beautiful swatch as usual ! I love this because it's a jelly! Jelly is my 2nd favorite finish behind matte so I'm digging this color. And it's my second behind holo! 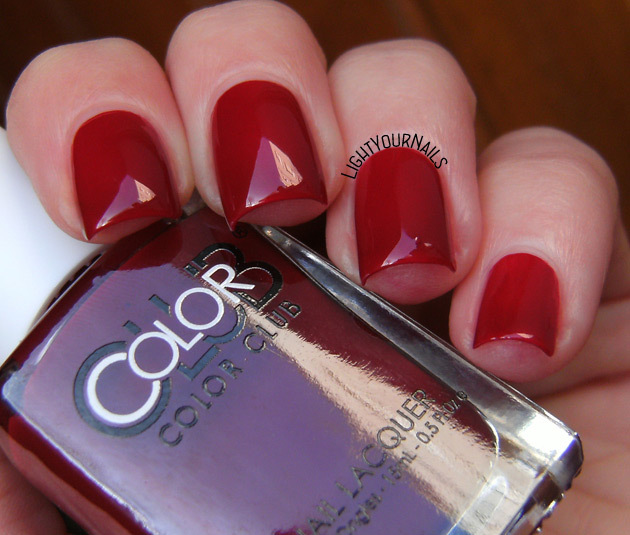 I love a beautiful deep red like this! Yummy Christmas red! 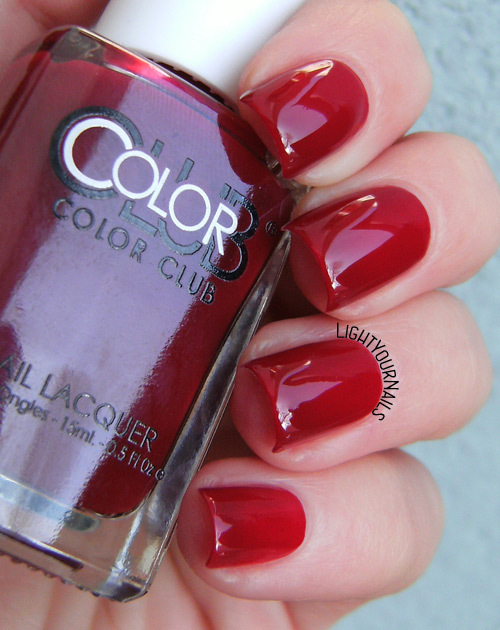 I wore Cirque Colors Rouge Rockefeller topped with their gold flakie topcoat :). Red and gold is such a festive combo! Such a perfect red! I'm a jelly fanatic! Messo da poco anche lui!! Such a lush shade. I can never own too many reds.